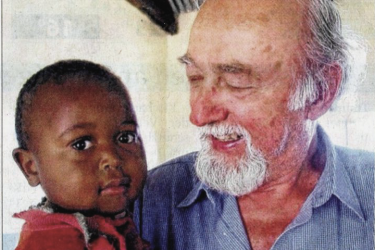 Franz Spiegelsberger was an exceptional individual, his Christian outlook was reflected for decades in his humanitarian projects for people in need in Tanzania, in the construction of kindergartens, health centres, water supply facilities and also providing support for the construction of churches. 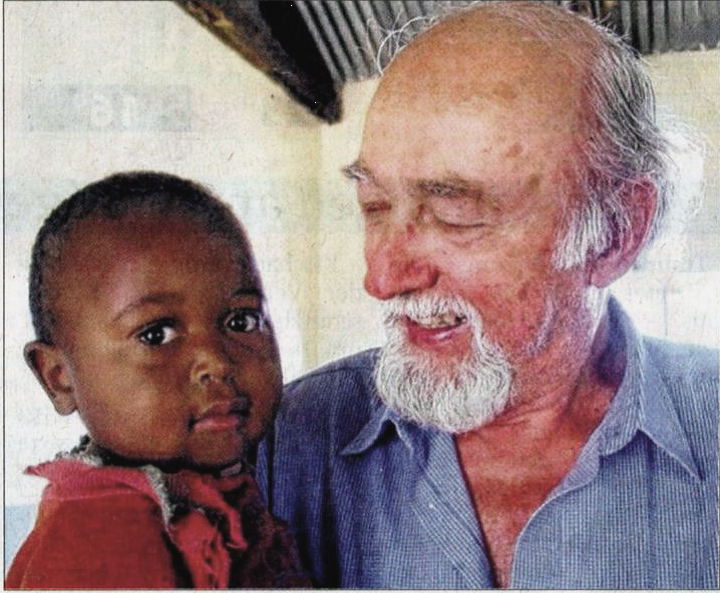 He was a unique campaigner, he lived close to the people and very often among them, he understood their needs and was venerated by them as a “Francis of Assisi”. 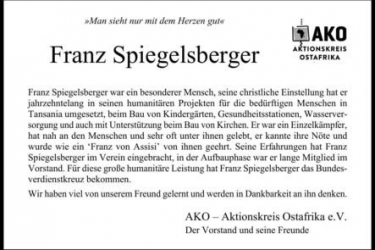 Franz Spiegelsberger brought his experience to the association and was a member of the board for a long time during the build-up phase. For this great humanitarian achievement, Franz Spiegelsberger was awarded the Bundesverdienstkreuz (German Federal Order of Merit). We learned a lot from our friend and will remember him with gratitude.